Elephant Nature Park is an elephant rescue and rehabilitation center in Northern Thailand. 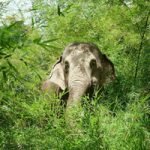 The Park was founded by renowned elephant rights advocate, Saengduean Chailert, better known as Lek, and is the first elephant sanctuary of its kind established in Asia. Many of the elephants living at the Park have been rescued from street begging, elephant riding, and circus shows, where they often sustained both physical and psychological injuries. 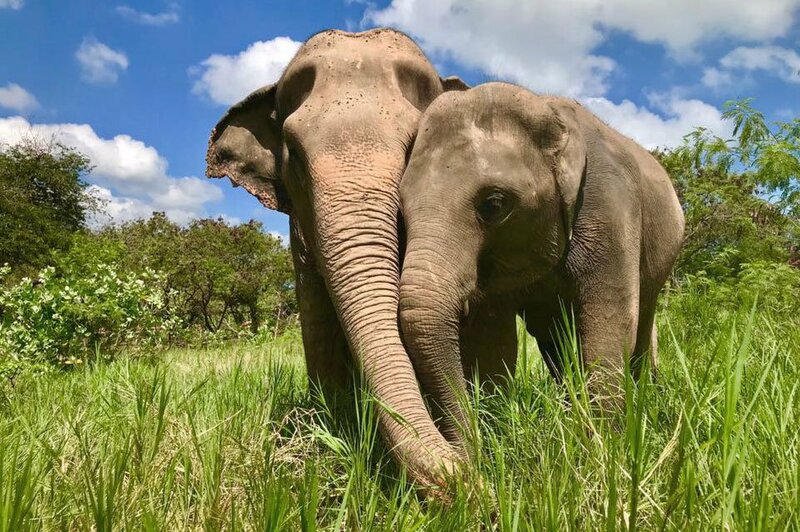 The Park’s herds include blind, crippled, orphaned, and ‘senior’ elephants who are now free to live a peaceful life in natural surroundings, where they are loved and respected. 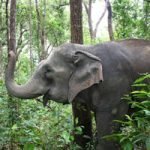 Elephant Nature Park provides educational programs that help visitors better understand the plight of the Asian elephant and the challenges faced in protecting this endangered, keystone species. More than an elephant sanctuary, the Park is also home to hundreds of other rescued animals, including dogs, cats, buffalo, birds, goats and more. 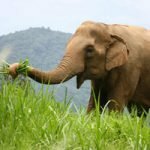 Samui Elephant Sanctuary (SES) was inspired by the work of Lek Chailert - founder of Save Elephant Foundation, who leads the movement advocating for the ethical treatment of elephants throughout Asia. It is the first elephant sanctuary on the island to adopt our ‘Saddle Off’ model. The sanctuary offers both morning and afternoon programs based on observing and learning about the elephants in a relaxed environment – socializing, foraging, playing in the mud pit, and in their custom built pool. Guests will have the opportunity to walk with these gentle giants, as well as feed them fruit and vegetables. 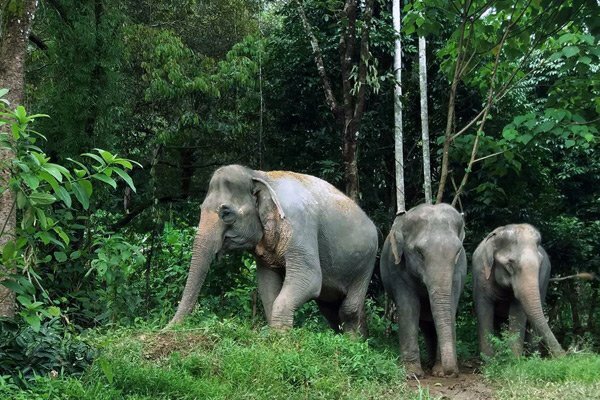 The five elephants living at the sanctuary have been retired from a life of toil giving rides and performing in shows as well as serving hard time in the logging industry. These lucky elephants are now living a more natural, peaceful life, where they are respected and admired for the complex and fascinating animals that they are. 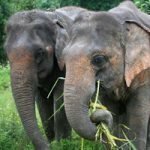 Phuket Elephant Sanctuary is the first of its kind on the island, having adopted our ‘Saddle Off’ model, based on the compassionate treatment of elephants. 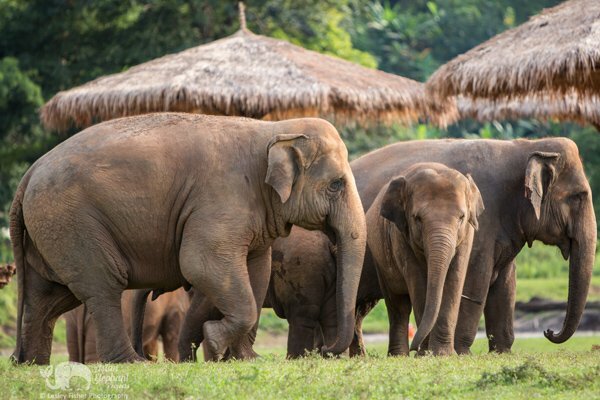 Set on 30 acres of lush jungle bordering Khao Phra National Park, the sanctuary provides a peaceful home to eight lucky elephants relishing their retirement from an arduous life in the logging industry, elephant riding, and performing tricks in shows. At the sanctuary, you will have the opportunity to learn about the elephants through observing them interacting with each other in a beautiful setting with the freedom to forage and express their natural instincts. By visiting this project you are supporting a more evolved, sustainable form of elephant tourism, where the focus is on the well-being of the elephants living at the sanctuary. 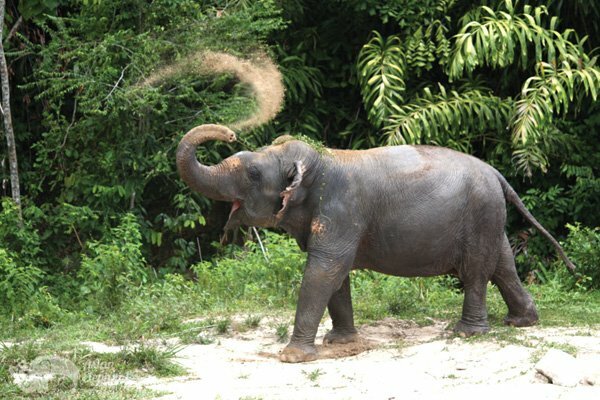 Samui Elephant Haven (SEH) opened in August 2018 and is the ‘sister’ project of Samui Elephant Sanctuary. 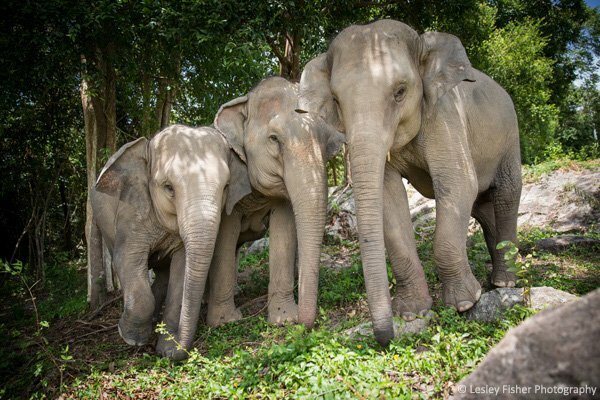 This project follows in the footsteps of its predecessor, and under the ‘Saddle Off’ model, provides a safe haven on Koh Samui for a small herd of elephants rescued from street begging, elephant riding, and giving performances. Both morning and afternoon tours are offered, providing guests with a heartwarming experience being among elephants in nature with consideration to their well-being. 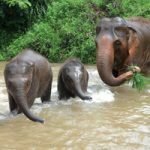 Guests to Samui Elephant Haven get to learn about elephants while feeding them and observing their spontaneous behavior – playing together in their custom built pool and mud pit, communicating with each other using vocalizations and their trunks, as well as foraging while roaming the tropical grounds. The goal of this project is to provide a caring home for elephants where visitors can come and experience the majesty of these extraordinary animals in natural surroundings. Located on 12 acres of protected jungle, Phuket Elephant Park provides a happy home to a small herd of elephants rescued from a difficult life of logging, elephant riding, and performing in shows. At the Park, the elephants are free to roam and socialize with limited human interaction. In this environment, the elephants can relax and recover their natural instincts - free of the saddle or the expectation to perform for the amusement of tourists. Guests have the opportunity to observe the elephants enjoying their new lives — interacting, bathing, and foraging in the jungle — as well as feed them fruit and vegetables. 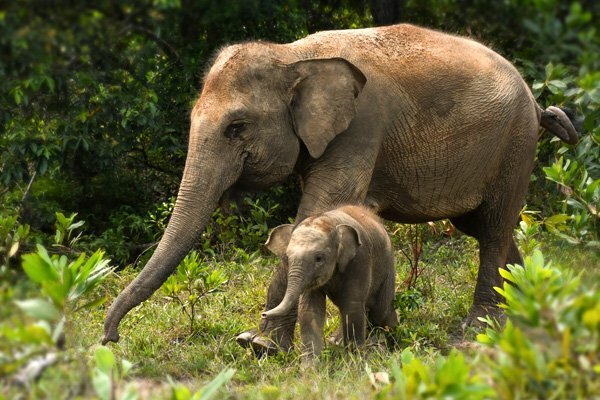 Joining a small group, accompanied by a tour guide, visitors to Phuket Elephant Park will enjoy a memorable experience learning about elephants while observing them in a beautiful natural habitat. This is a progressive project formed in cooperation with an elephant camp located 50km out of Kanchanaburi, Thailand. 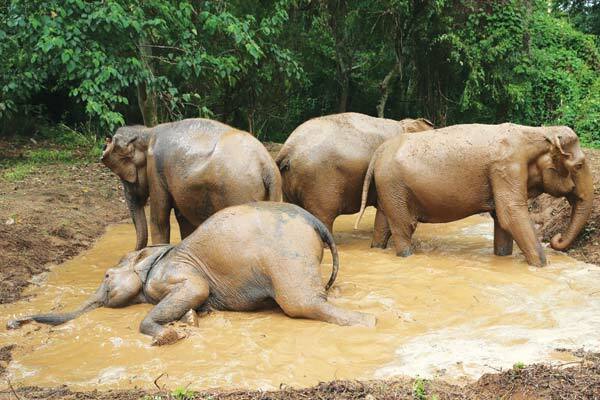 The owner of this former trekking camp has welcomed the shift to the ‘Saddle Off’ model, retiring his elephants from riding and shows, and ending the use of bullhooks. During the day, a small herd of elephants now roam and socialize freely, frolic in the mud pools, forage in the jungle, and cool off together in the river. Guests are provided with the special opportunity to experience being with elephants in a natural setting where they can observe the fascinating world of elephant behavior, including the complexities of social interaction. This project offers one day visits and overnight stays. The elephants are well cared for and are enjoying a better life in natural surroundings, where they can explore their newly discovered freedom. 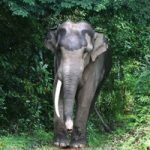 Located in Northern Sumatra, Barumun Nagari Wildlife Sanctuary (BNWS) was established in April 2015 to create a sanctuary for mistreated elephants from throughout Indonesia. At the sanctuary, there are currently six elephants being rehabilitated. Here, their nutritional needs and health concerns are addressed as well as their mental health. As a result of spending so much time on chains, and being denied any semblance of a natural life, the elephants developed PTSD. Now these elephants have 32 ha. of jungle to roam, and sleep in chain free shelters. The aim of the sanctuary is to provide a place of rest where the elephants can live with a sense of peace and dignity. This is the first program of its kind in the country and will hopefully serve as inspiration for others to give these magnificent animals the respect that they deserve. The sanctuary offers day visits, overnight stays, as well as a one week volunteer program.